Bathrooms are tricky spaces when it comes to design. Lots of nooks and crannies, often small spaces and, of course, there's all that water. It's no wonder so many bathrooms stick with basic, square, white ceramic tile. While there's nothing wrong with that choice - there are other options out there. 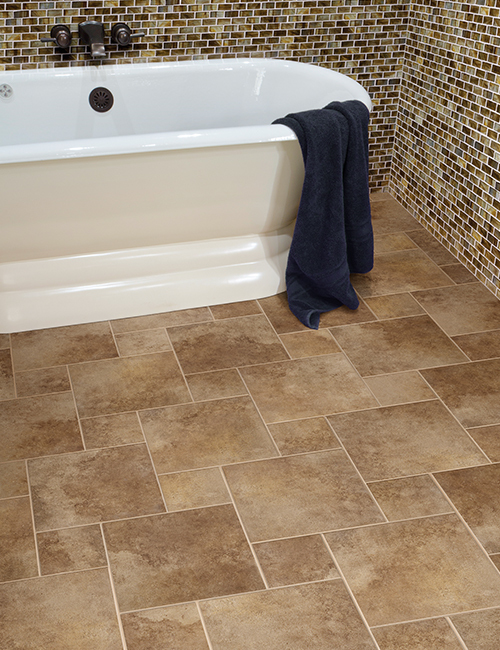 Are you ready to go beyond the basics with your bathroom floor? Let's look at some ideas from Indianapolis flooring store Kermans. Tile doesn't have to be all the same shape or color. To add interest, consider creating a pattern that uses large and small floor tiles. Or mix in some subtle color that plays off the wall design with a sprinkling of colored tiles. 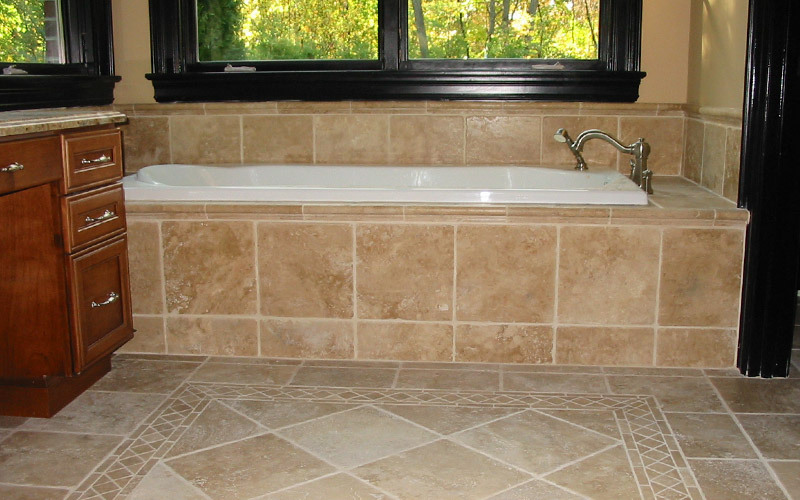 Ceramic tile is your best bet for this floor trend since it comes in so many shapes and sizes. Octagonal, hexagonal, even 2-inch or smaller mosaic tiles can all create a beautiful tile floor. Stone like slate or limestone is another creative floor option. Natural stone still has all the water-resistant, easy cleaning benefits but it adds much more interest to a room than traditional, white, ceramic tile. There are many different types of natural stone available as flooring, each with its own characteristics and strengths. When sealed, stone floors can be slippery so you'll want to talk to a flooring expert about sandblasting or honing the tile to give it some texture. Glass tiles are very popular right now - particularly for mosaics because they come in so many different colors. While often used as a wall covering or back splash, glass tile also makes a stunning floor. The transparent qualities of glass add depth to the floor and can make the room feel larger when used in ligher colors. Glass is obviously quite slick when wet but you can have the tiles textured to resist slipping or consider using very small tiles where the grout acts as a natural texture. Love the look of wood flooring but afraid to place it in the moisture-filled bathroom? Consider cork flooring. Cork flooring is a natural hardwood that is moisture-resistant. It's an excellent choice for the environment because it's made with renewable resources. Cork flooring is also very comfortable underfoot making it a perfect choice for a room that sees a lot of bare feet. Learn more about the long-lasting comfort of cork flooring. Whether you're remodeling or starting a new bathroom from the ground up, don't forget about the experts at Indianapolis flooring store Kermans. Schedule a free design consultation and we'll have a flooring expert prepared and ready to show you a wonderful selection of bathroom floor choices.